Do you need a written copyright compliance document such as a copyright policy, guidelines or best practices? Yes! Your copyright compliance document may become your organization’s best friend when it comes to complying with copyright law and your digital licensing agreements. 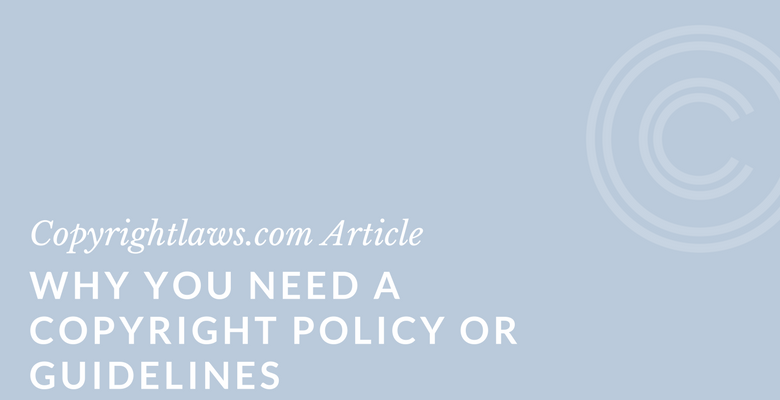 Below are five important reasons to help you understand why you need a copyright policy, guidelines or best practices document. Copyright is a complex field. What are you doing to make people in your organization aware of copyright law? How do you provide them with tips on how to comply with the law? Are there specific factors in your library or organization that clearly indicate the need for a written copyright policy, guidelines or other copyright compliance document? Consider the situations below and start thinking about why you need a copyright policy and how you can develop a copyright compliance document to meet your specific needs. 1. Your library or organization is a repository for materials that you loan or reproduce. It’s important that you and everyone you work with are aware of how copyright law works with respect to copyright-protected materials you have in your repository and that you loan or reproduce. Knowing the rights that exist in copyright materials will allow you to plan for handle them legally and comply with copyright law and agreements. Does your library or business own the copyright in those materials, or do you just own the physical materials? Are there any copyright or contractual restrictions on types of uses permitted on all of the materials? Do you have a summary of these contractual terms and conditions? Do you have permission to digitize the materials and also to provide access to the digital editions? Is this unlimited access or subject to limitations by the content owner? Are some or all of the materials in the public domain (i.e., they can be used without permission or payment)? Will the content be available online and accessible in other countries (which may raise other international copyright concerns)? 2. You or others in your library or organization have concerns about liability for copyright infringement. Are you aware of your responsibilities for ensuring the legal use of copyright-protected materials? What’s your personal and work exposure to liability for unauthorized use of copyright-protected materials? See our article How To Draft the Best Copyright Policy. 3. Members of your organization misunderstand and incorrectly apply copyright. Sensitizing others in your library or organization to copyright concerns is key to ensuring you’re operating within the bounds of both copyright law and the parameters of your license agreements. There are many opportunities to educate employees, faculty, researchers, students and consultants about copyright, from workshops and webinars to posted copyright notices and warnings near computer terminals and printers to distributing internal communications. You may be interested in our online course Developing a Copyright Education Strategy. 4. Your organization doesn’t have standardized procedures for obtaining permissions to use content. When you need copyright permission, how do you obtain it? Do you have a permissions letter everyone in your library or organization uses to request permission from the copyright owner? A standard permission letter is also a great tool for ensuring you obtain and document consistent copyright permissions. Is there a designated person in your organization who clears copyright permissions? How can someone with a copyright permissions question reach this person? Do you have a record of copyright permissions, perhaps in an electronic database? 5. You have licenses with aggregators, electronic journals and copyright collectives. A license means you have permission to use content in specific ways as set out in the license. Often you’ve paid for this permission, so you want to spread the word widely about accessibility to the licensed content. Also communicate the terms and conditions of use as set out in the licenses. 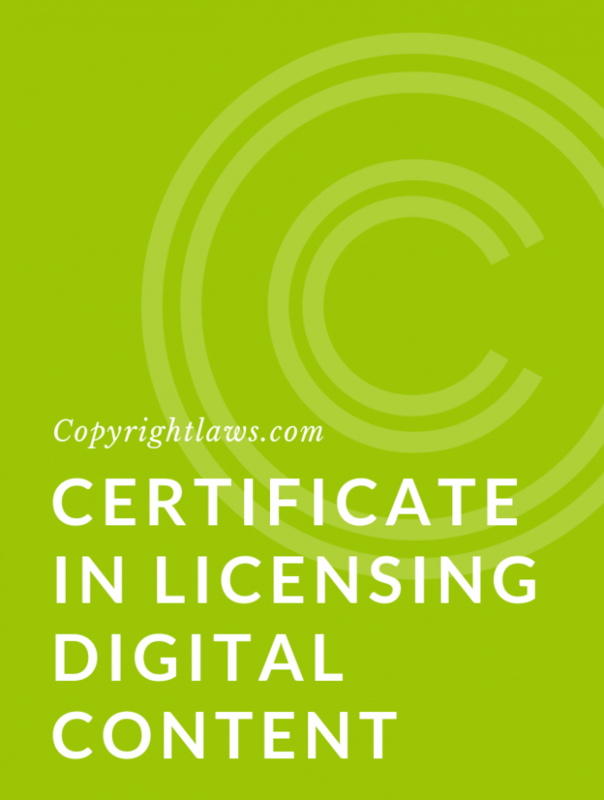 When you participate in copyright collectives or have digital licenses with publishers in place, you have a repertoire of resources already cleared for specified uses. This can help you save time by avoiding the permissions process for individual uses. It also can save money, because uses cleared through license agreements or copyright collectives are often less expensive than individual permissions for each use. All licenses allow use under specific terms and conditions. You must know what your licenses and agreements permit. You can summarize these terms and conditions in your copyright policy or guidelines so it’s clear what uses are permitted by whom and under what circumstances. 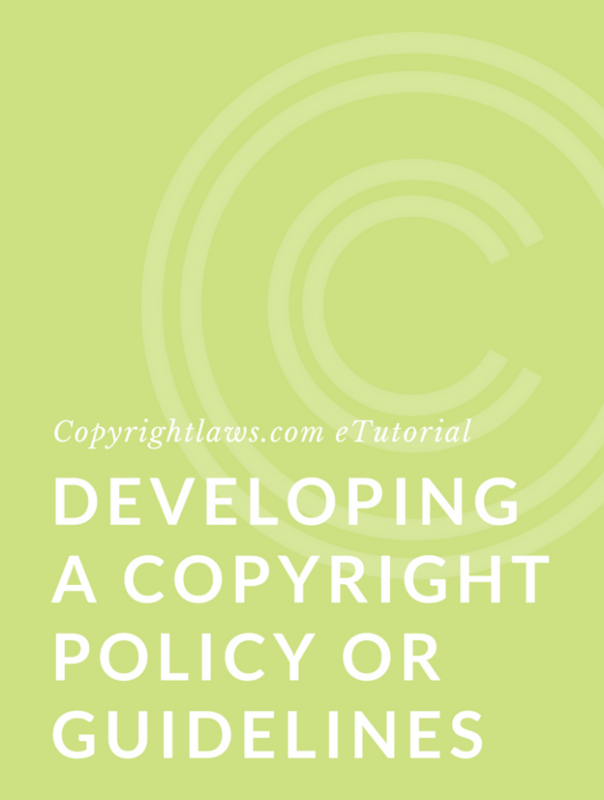 creating a copyright compliance document in our article Tips for Developing a Copyright Policy. Learn how to write your own copyright policy in our online course Developing A Copyright Policy or Guidelines. consider our fully online Copyright Leadership Certificate program.